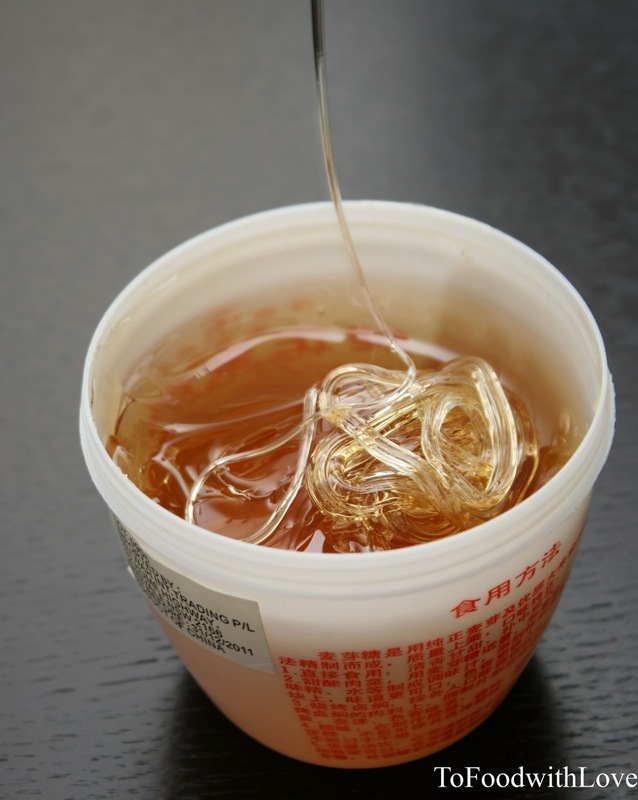 "A crystalline, water-soluble sugar that is formed from germinated barley as it ferments during the brewing and distilling process, prior to being made into alcohol. Also called malt sugar or yitang, maltose is mainly used as a nutrient or sweetener and can be found in organic or specialty food stores. Common in Asian cooking, maltose is used in making food dishes such as Peking Roast Duck for which the malt sugar is used to baste the outer skin of the duck prior to cooking, creating a sweet, browned and crispy coating that keeps the meat moist as it cooks." If you love pork chops, try this recipe. 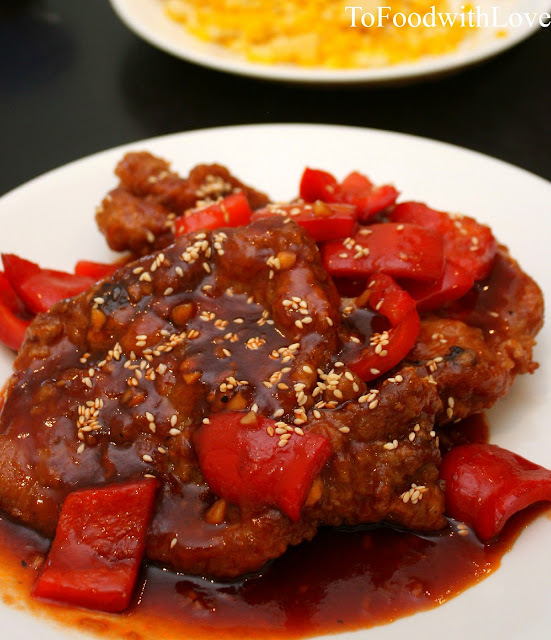 I coated the pork chops in flour and deep-fried them till crispy, and then tossed them in some delicious sticky sweet and sour sauce, sprinkled with toasted sesame seeds. Combine pork with marinade and leave in fridge for 4 hours. Remove from the fridge half an hour before cooking. Heat up some peanut oil in a wok, enough for deep-frying. 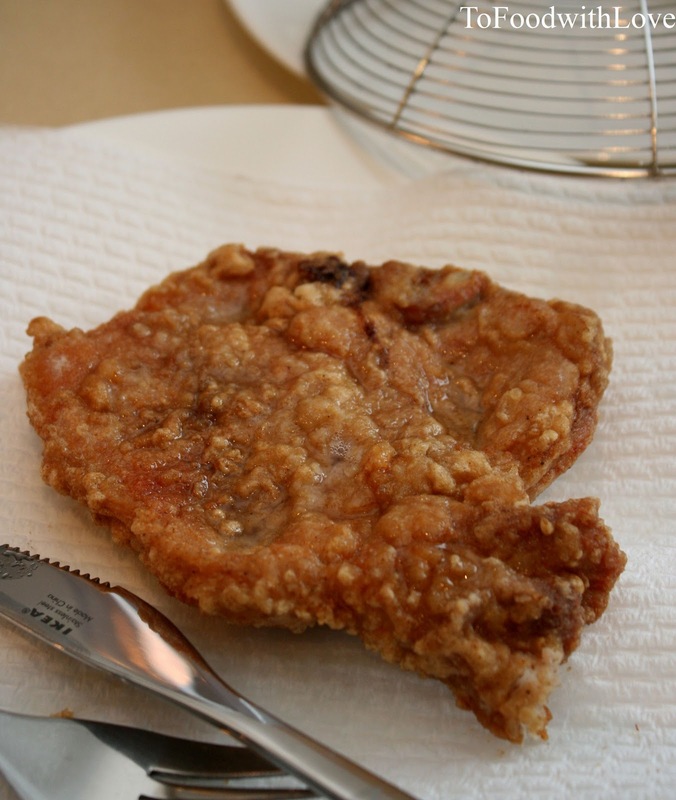 Sprinkle some of the extra cornflour on both sides of the pork chop, shake off excess and lower it into the hot oil. Deep-fry for about 6-8 minutes or until cooked. Drain on absorbent kitchen paper. Heat up a tablespoon of oil in a clean wok and fry garlic briefly, then add capsicum and fry on high heat. Add sauce ingredients and bring to a boil. Season with salt and pepper. Simmer the sauce until it's reduced to a thick syrupy consistency. Toss in the pork chops and coat it with the sauce. Transfer to a serving dish and sprinkle with sesame seeds. Serve with steamed jasmine rice. I followed your recipe and it was wonderful. Tks for posting!! !